Sand and water.As far as the eye can see. 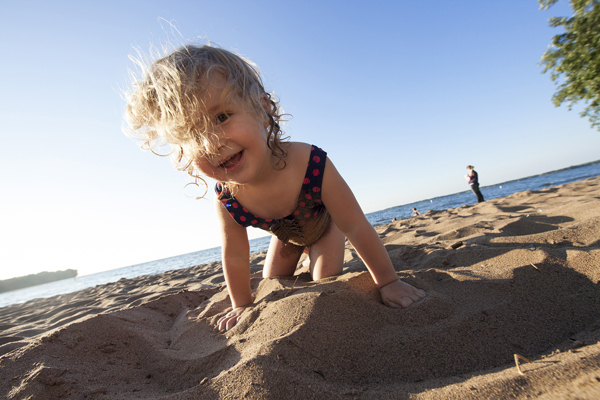 Like its other attractions, the big lake in the heart of the state also boasts the biggest beach. 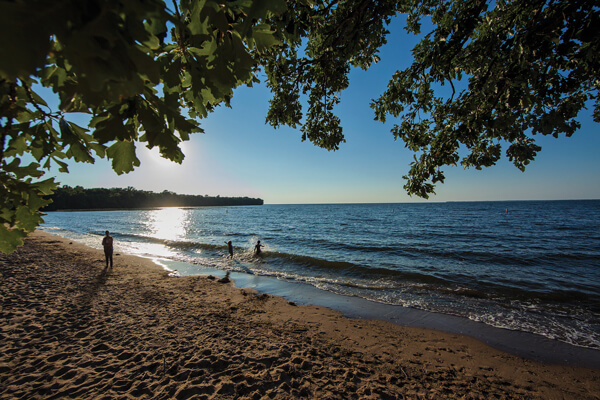 Father Hennepin State Park brings a king-sized beach with Lake Mille Lacs stretching out like an inland ocean. This is a “take a long walk along the shoreline” beach with water as far as the eye can see. A “set up your beach umbrella and bring the water toys for a day full of memories” beach. Two handicapped-accessible fishing piers even allow park visitors the opportunity to fish without a boat. With 320 acres of park to roam, take a trail hike through the hardwood forest and along the rocky shoreline of Lake Mille Lacs. If you’re lucky, you may spot one of the mysterious, albino whitetail deer, which make their home at Father Hennepin. You will also find great camping facilities at one of their two campgrounds. 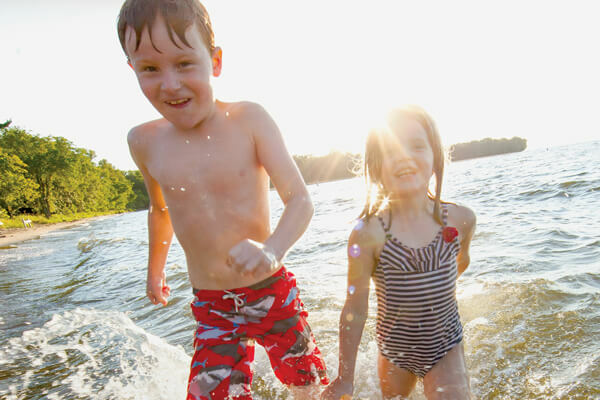 Camping amenities include everything from primitive, roughing it sites to ones with electricity, as well as showers, and a dump station for RVs. Father Hennepin has facilities for picnics and hiking, boat launches, and wooded trails for winter cross-country skiing and snowshoeing. Come and see what Lake Mille Lacs has in store for you!